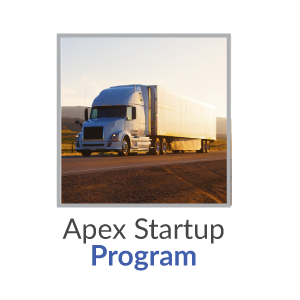 Chef-turned-trucker Alvin Seger began his AWS Transport trucking company through the Apex Start Up Program in February 2016. 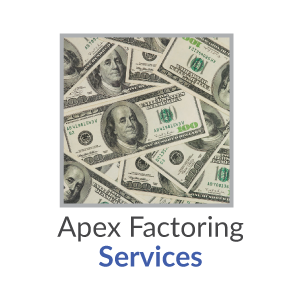 He became an Apex factoring client in April 2016. 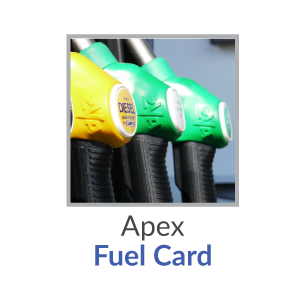 In the last year, Alvin took advantage of Apex’s financial services to take care of various trucking expenses. Alvin is on the road 250 days out of the year and sticks to 500-600 miles round trip for each load he hauls. 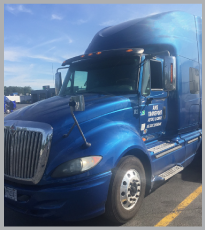 We talked with him about his Apex experience while he was in Belleville, Michigan delivering a load. Alvin is a one-man, one-truck business. That means he’s the driver, the office manager and the CEO all rolled into one. 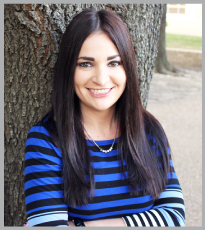 “Doing it on my own there is a lot more that I have to be on top of, and it can be a struggle. Sometimes I hate trucking, but I always come back to it. If you’re not moving forward, you’re not moving at all. I believe that there’s a golden goose at the end of this trail. There is nothing else I am focused on now than trucking because I am moving forward. My life is trucking. Even when I’m off, it’s not really time off. I’m just not in the truck.